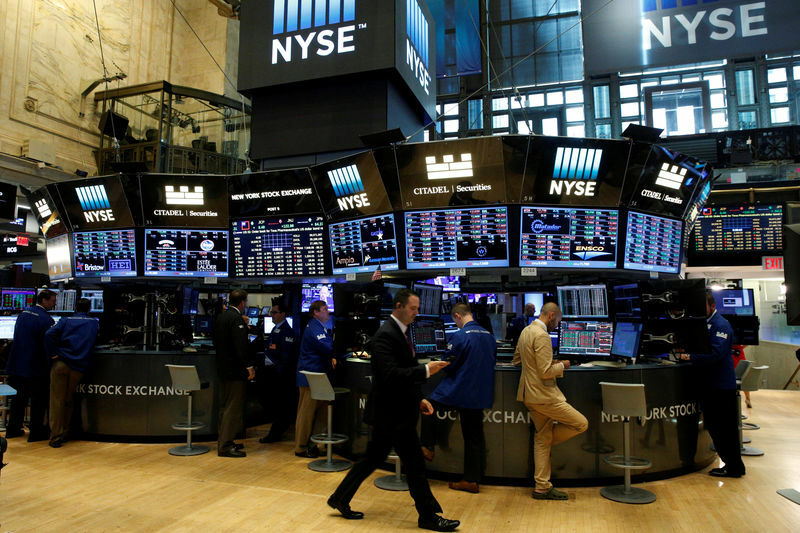 (Reuters) – Wall Street was headed to open lower on Wednesday after U.S. President Donald Trump cast fresh doubts over current U.S.-China trade talks and ahead of a Federal Reserve report that would be watched for cues on pace of future interest rate hikes. At 8:53 a.m. ET, Dow e-minis () were down 171 points, or 0.69 percent. S&P 500 e-minis () were down 16.25 points, or 0.6 percent and Nasdaq 100 e-minis () were down 65.75 points, or 0.95 percent. U.S. 10-year Treasury yields () fell to eight-day lows as investors shunned risk. Of the 30 Dow Jones Industrial Average () components trading premarket, 29 were in the red. A majority of the Nasdaq 100 () and S&P 100 <.OEXA> stocks trading premarket were also lower. Target (N:) sank 4.5 percent after the retailer’s quarterly profit rose less than expected as increasing investments dented margins. Tiffany (N:) jumped 14.7 percent after the jeweler’s quarterly results blew past estimates and the company also raised its full-year profit forecast and announced a $1 billion share buyback program. Lowe’s (N:) gained 4.4 percent after the home improvement retailer maintained its annual financial targets on expectations that demand will recover after a disappointing first quarter. Comcast (O:) fell 2.0 percent after the company said it was preparing to top Disney’s (N:) offer for certain Twenty-First Century Fox (O:) assets.